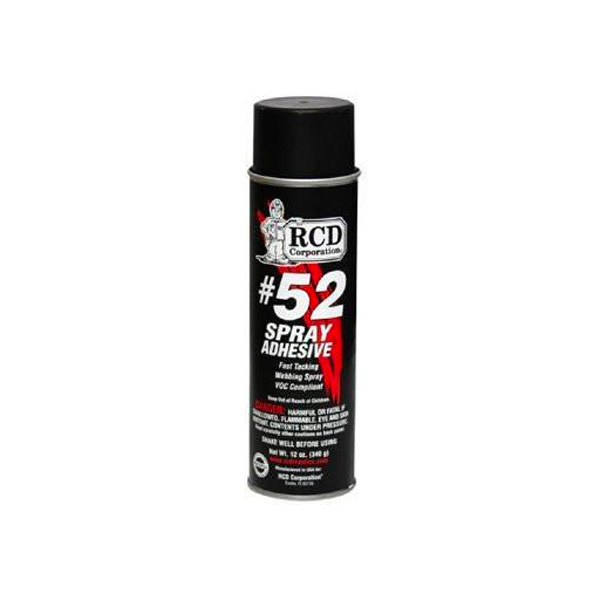 RCD Corporation #52 Spray Adhesive is formulated to bond fiberglass insulation to galvanized and aluminum sheet metal. This aerosol spray adhesive has low soak-in properties and bonds to a variety of construction surfaces. Wide web spray pattern provides greater coverage in less time. VOC compliant, earns LEED credits and contains zero chlorinated solvents. J&R Products offers FREE SHIPPING for all domestic orders shipping to the lower 48 states. If you are needing items shipped outside of this area, please give us a call at 1-800-343-4446 to complete your order. Strong polypropylene tape has a special cold weather adhesive system. Maintains adhesive integrity to -10 F. Used as vapor barrier seal for house wrap and thermal exterior insulation.